PRINCETON, NJ--(Marketwired - October 06, 2015) - Patients are both highly prepared for and engaged in the management of their healthcare, according to a new report by Inspire. Inspire, the largest patient engagement platform in the United States, received over 13,000 responses to its online survey, detailed in "Insights from Engaged Patients: An analysis of the inaugural Inspire Survey." When asked about their preparation for doctor visits, 55% of respondents reported going to their appointments with another person; further, nearly two-thirds of respondents go prepared with notes and/or questions to help guide the in-office discussion, according to Dave Taylor, director of research for Inspire. 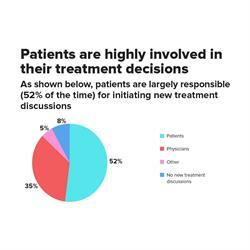 New treatment discussions are initiated by patients 52% of the time, according to the survey. "This inaugural report is the first edition of what we hope will become a resource for all the participants in our healthcare system," Inspire CEO Brian Loew said in the report's introduction. 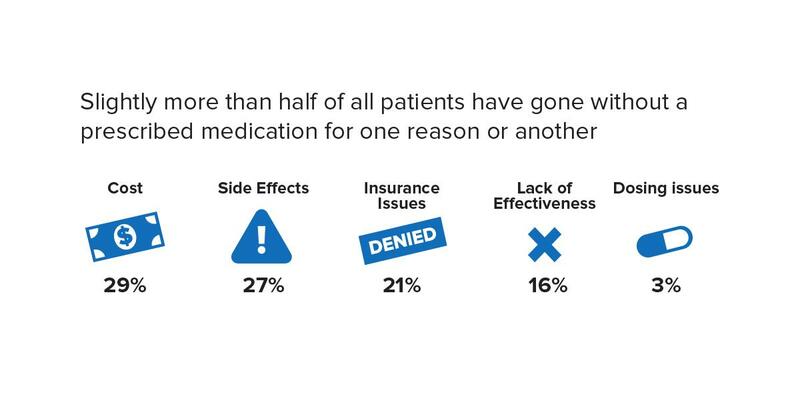 * Half of all patients have experienced difficulties with the affordability of their medications at some point in their life; in fact, cost was the primary reason why affected respondents have gone without a prescribed medication. * 72% of U.S.-based patients reported experiencing some increase in their healthcare costs (i.e. insurance premiums, office copays, ancillary treatment costs) while 65% indicated that at least one of their prescription medications was switched to a generic equivalent by their insurance company in an effort to reduce costs. * Two-thirds of patients use social networks as a source of information and support for their health conditions. Also, nearly 30% of respondents use smartphone apps to support their healthcare needs, and an additional 43% believe smartphone apps could be helpful for them. Inspire is preparing to survey its community again later this year. 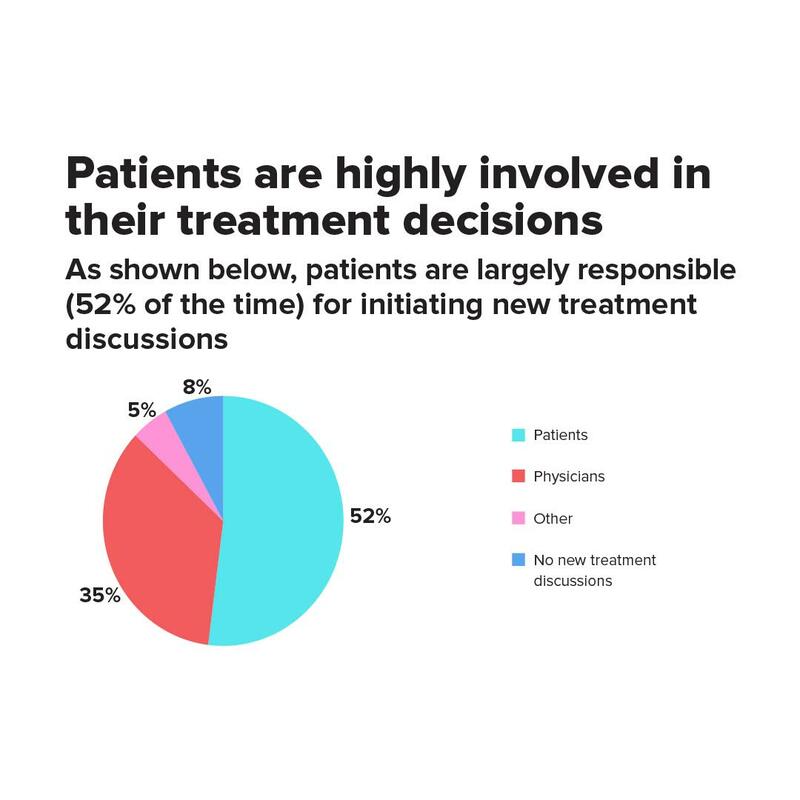 Inspire's next survey, of 700,000 patients and caregivers, will continue to track healthcare trends and will seek to explore new areas of importance such as precision medicine and shared decision making, according to Taylor. Inspire (www.inspire.com) is the patient engagement company. Partnering with such organizations as American Lung Association, National Psoriasis Foundation, Genetic Alliance, Ovarian Cancer National Alliance, the Arthritis Foundation, and the Alzheimer’s Foundation of America, Inspire creates and manages health support communities for nearly 700,000 patients and caregivers. We work with our pharmaceutical clients to help them interact with these highly engaged populations, from clinical trial promotion, to patient and caregiver insights, to unbranded/ branded promotional activities.